Gina Drago renovated Body Double in Fenwick Island for owner Liz Welsh, pictured. 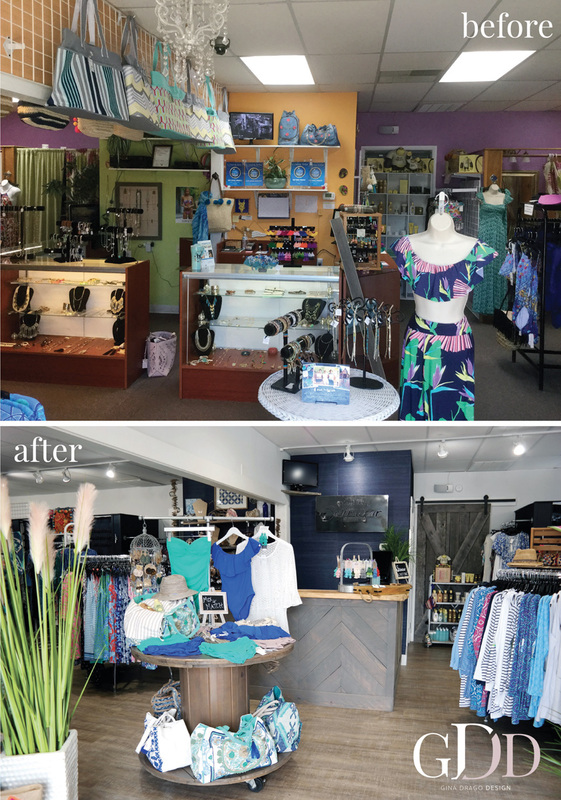 A before and after shot of the shop. (3) Nobody likes how they look in a swimsuit. Welsh knows of what she speaks. 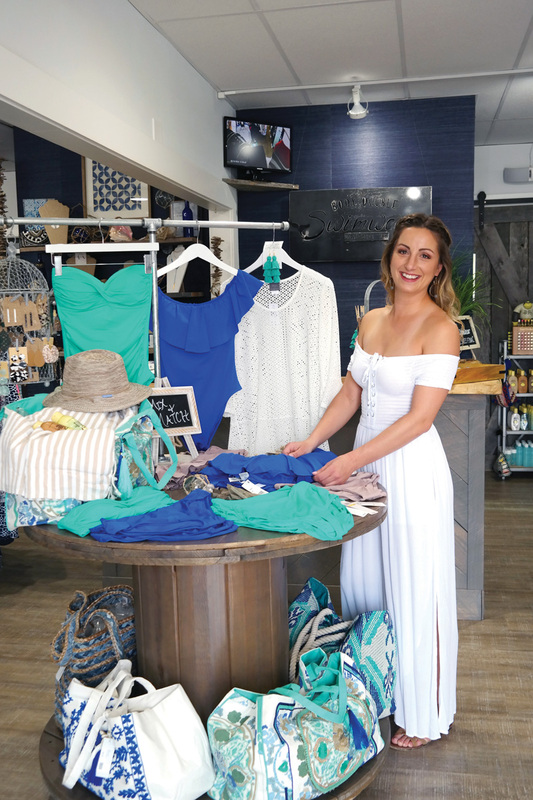 The owner of Body Double since December 2017, Welsh worked for the Fenwick retailer during the summers since she was 16, spending the busy season in town with her family each year. It didn’t take her long to know that this was the place for her. And, Welsh did indeed live in New York City for a while after finishing college at Syracuse University. She worked for a year in the Big Apple doing social media, and then another year doing planning for Lord & Taylor. After that stint, Welsh moved to Washington, D.C., for a year, and then another year in Baltimore. Then she knew what she had to do. Welsh leapt into her new business interest with both feet. While eating at One Coastal one night with her mother, discussing plans for the store, she noticed designer Gina Drago’s name on the back of the restaurant’s menu. The two of them Googled Drago’s work and were so impressed they hired her to help launch a new look for the store. The changes are indeed dramatic. The outside color of the store has changed, as have the walls on the inside. There is a new front desk — custom-made by a wood artist in Berlin, Md. — and a new format for the fixtures, opening up more space on the sales floor. There is also a newly-updated logo, meaning new signage outside to reflect that change. What hasn’t changed at the store is an emphasis on customer service — something that Welsh credits to Ruppert’s preaching over the years. Body Double is also well-known for their ability to get people into the right swimsuit, with the right fit. Welsh credits a vast selection at the store, and the willingness of her employees to genuinely help. “Our big thing is, pick out a few get in the room and show us something,” said Welsh. “Every brand we have here runs different. Some run smaller, some run bigger. And my girls are educated on that. And Welsh said she and her employees are honest with their customers. She doesn’t want someone walking around with a swimsuit from her store that doesn’t fit well or isn’t particularly flattering. Body Double Swimwear is located at 1010 Coastal Highway in Fenwick Island. They can be reached at (302) 537-1444, and they are located online at bodydoubleswimwear.com.